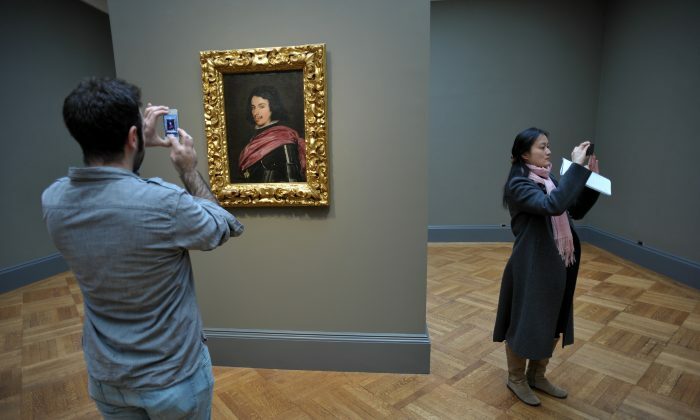 This spring, the Frick Collection momentarily relaxed its no-photography policy in the galleries, and then reversed it after only a month. According to a Hyperallergic website report, the decision was made to protect the Frick’s objects, which are usually displayed sans protective glass cases. Taking photos gives us the false sense of recording a moment or visual experience. It takes us out of the moment and renders the visit little better than browsing the museum’s online catalog. Fairfield University psychologist Linda Henkel did an experiment to find out if photography helps or hurts a person’s memory. She found that test subjects exhibited bad recall of what they saw if they took a photo of it. “The objects that they had taken photos of they actually remembered fewer of them and remembered fewer details about those objects, like how were the statue’s hands positioned or what was the statue wearing on its head,” Henkel told NPR’s Audie Cornish. If taking photos has such minimal returns, why do we feel compelled to snap away in museums? Maybe the moment of awe we experience when confronted with beauty is so great we want to savor it again via a photo. Maybe we are raring to share the object or show it off. Or simply declare, “I was here” via a selfie. To my knowledge, my iPhone has never satisfactorily captured my “aha” moment when peering at the translucent glaze of a Song Dynasty celadon vase. Much less does it inspire my friend, in front of whom I rantingly wave my phone hours after leaving the museum, to go and see it herself. Instead, it gives her a false sense of having seen the underwhelming vase already, and that I’m a chronic exaggerator. According to Henkel’s experiment, photography wins out for one purpose—taking note of a detail. Some test subjects were asked to zoom in on a portion of the object they viewed. So, if you already took mental note of a detail via your eyes and followed it up with the camera, then you don’t lose anything. This explains why the celadon glaze picture does something for me and not for my friend. Before the age of the smartphone, we used a low-tech method to record our responses to art—graphite and paper. Sketching accurately from life is a tall order for most people, but who’s judging the quality of your drawing? If you decide that immersion is an important part of your museum experience, leave the smartphone in your pocket and whip out a sketchpad instead. We’d turn galleries into places where creativity inspires more creativity. Imagine that. A gift guide for museum lovers.